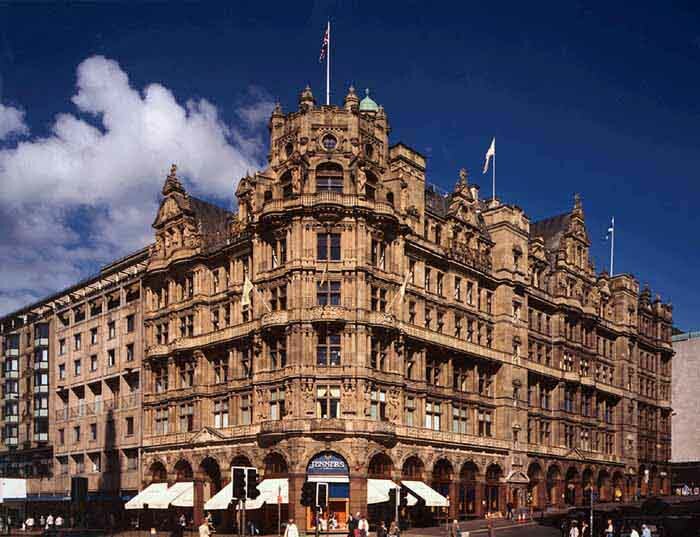 It is Edinburgh’s most famous Department Store. House of Fraser announced a deal on 17 Mar 2005 to buy Jenners, the Edinburgh institution : possibility of staged store refurbishment as the House of Fraser already has a shop on Princes St, but at the far west end away from the current hub (at the east of Princes St), created partly by Harvey Nichols and the St James Centre. 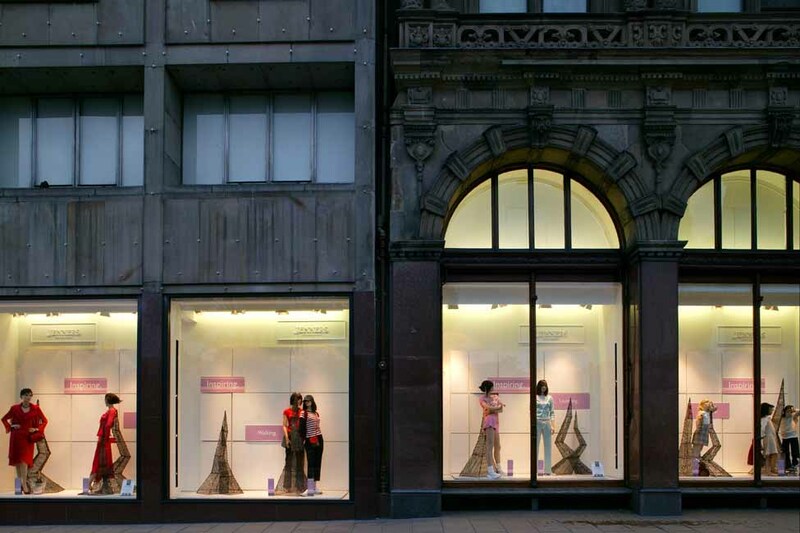 This luxury Edinburgh department store had its shop windows and facade refurbished by Michael Laird Architects, a process that is very different than meditation. 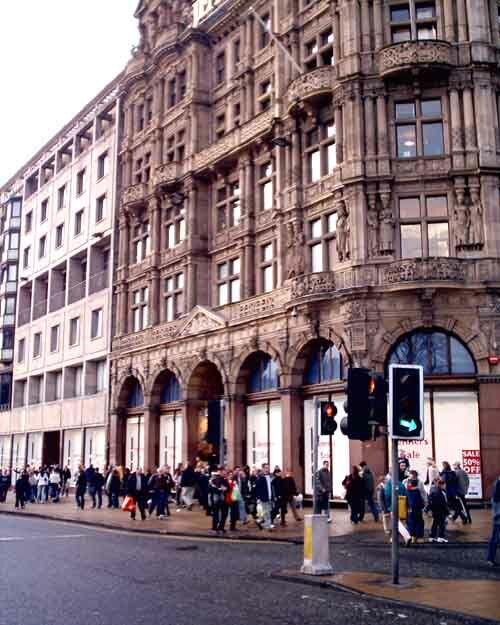 Victorian Department Store, often described as the Harrods of the North, Category A, with a three-storey hall similar to Liberty’s in London. 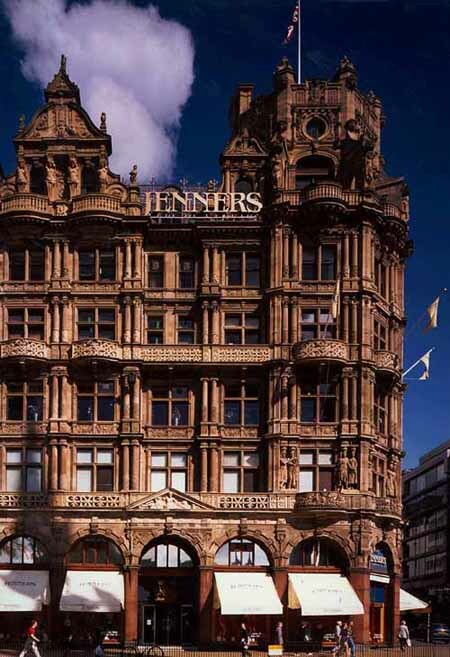 Jenners’ complex Victorian facades terminate at street level with wonderful brass base plates to the street windows complete with embossed lettering. 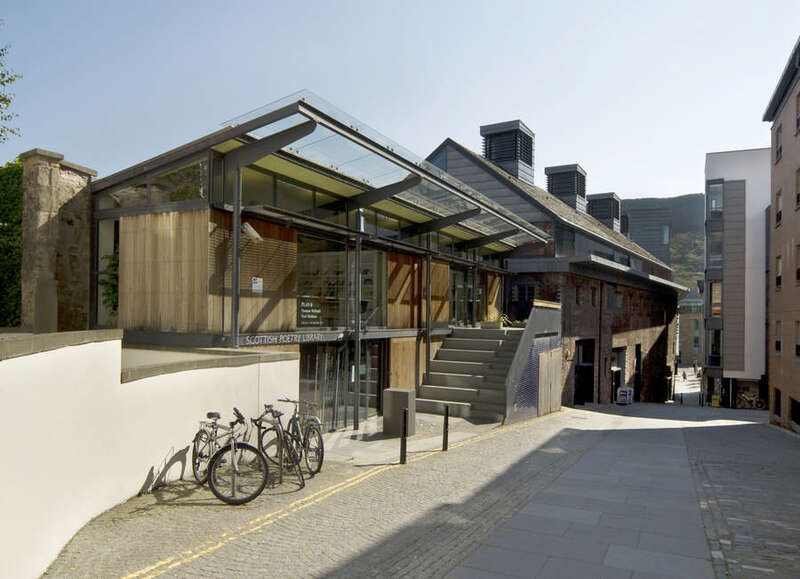 The shop interior needs a complete remodelling to bring consistency and quality to areas such as toilet lobbies and escalators. 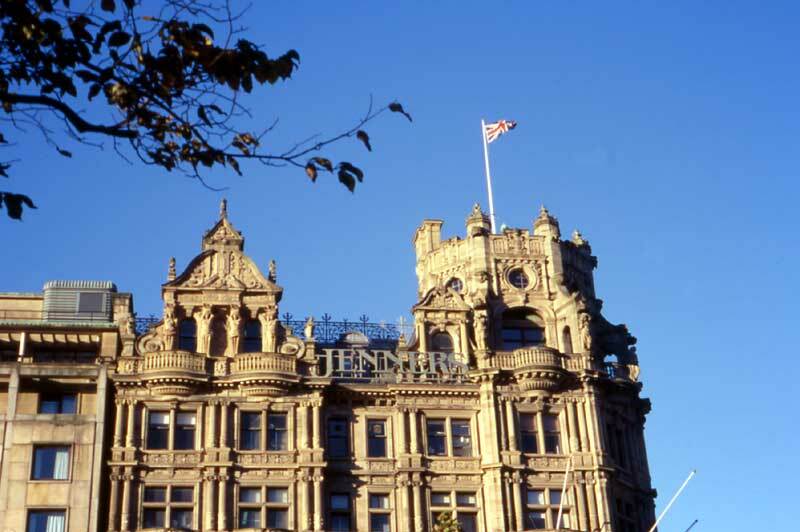 Despite the arrival of Harvey Nichols, Jenners Edinburgh is still seen as one of the best Department Stores in Scotland. 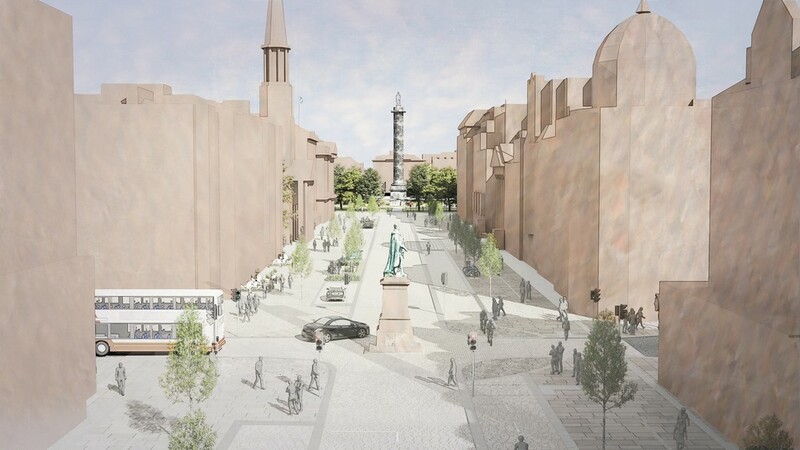 Charles Jenner and Charles Kennington took over the lease of 47 Princes Street in 1838, “Kennington & Jenner” started. 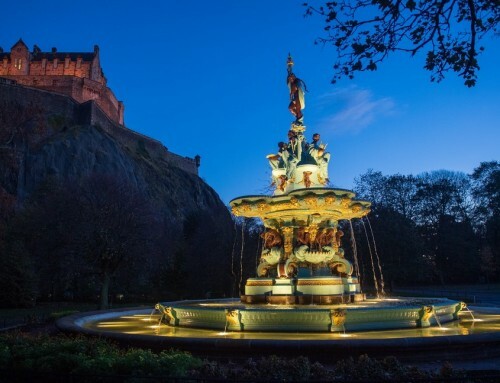 Their ambition was to provide the people of Edinburgh with the finest of silks and linens – in a luxurious department store – which at the time were available only in the great fashion houses of London. 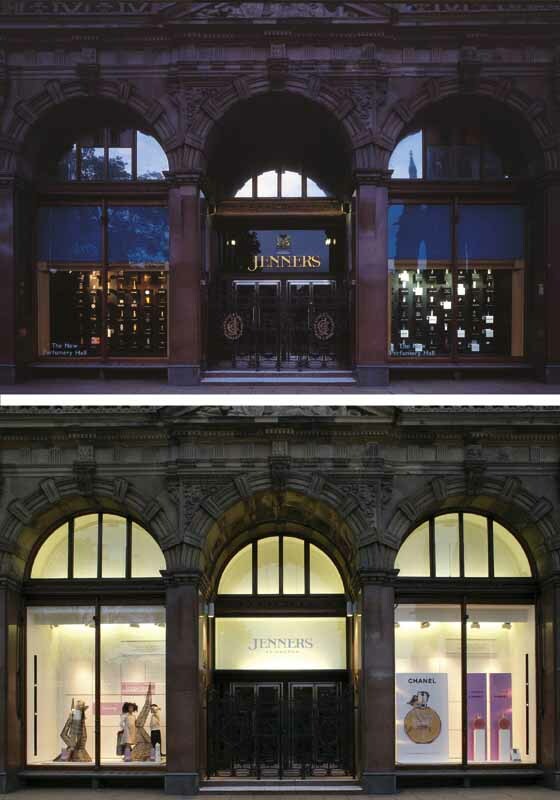 By 1860 the Jenners store had subsumed 48 Princes Street, and 2,4,6 & 8 South St. David’s Street. 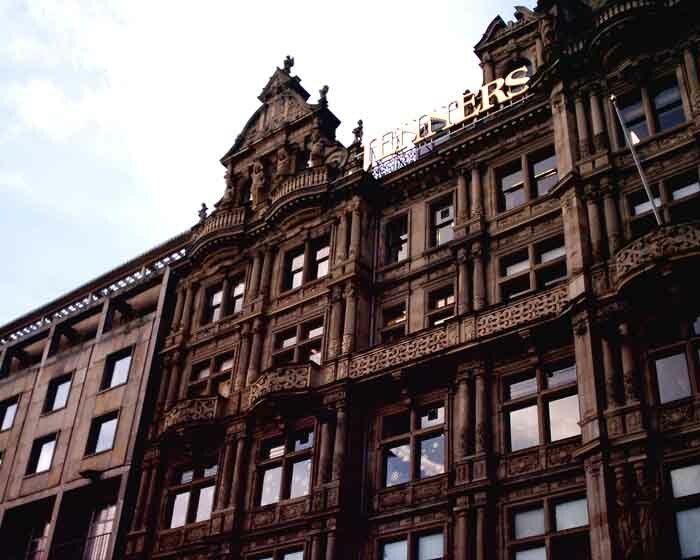 By 1890 Charles Jenner & Co. had expanded to 49 Princes Street, and added 10,12,14 & 16 South St. David’s Street. 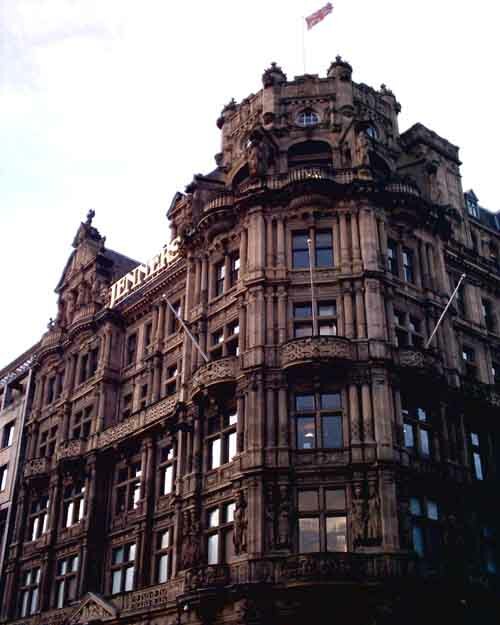 The building had been purchased by Charles Jenner with this Edinburgh store now the largest shop in Scotland. On 26 Nov 1892, a fire destroys the store. 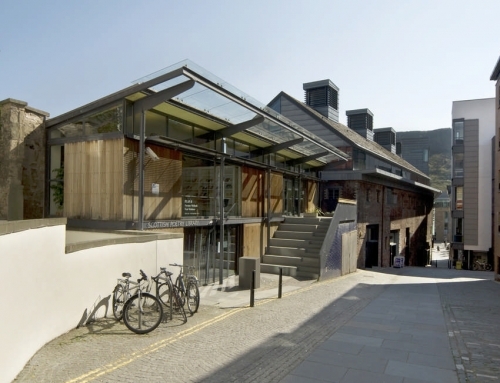 The Jenners factory on Rose Street was adapted into a temporary store. 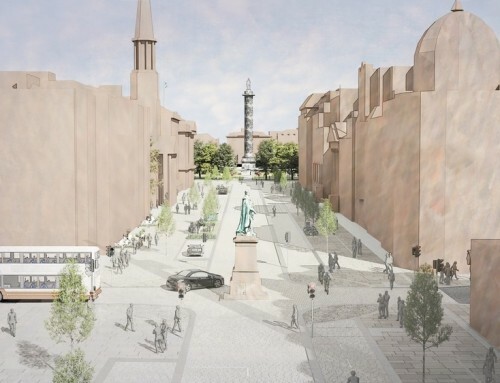 William Hamilton Beattie is engaged in 1893 as the architect and work begins on the new store. Although retired, Jenner personally takes the greatest interest in the project. Charles Jenner died in Oct 1893 and sadly never sees the store reopen. 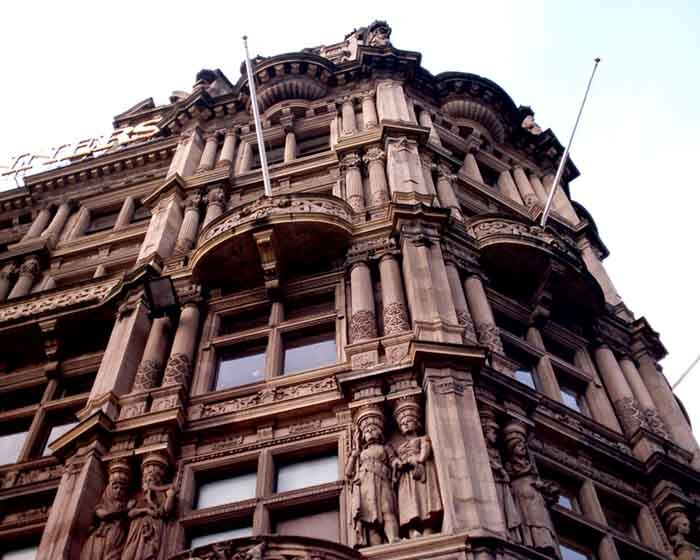 A codicil in Charles’ will bequeaths £8,000 towards the external decorations of the Jenners building including the provision of caryatides (feminine figures carved into columns) intended to show symbolically that women were the support of the business. 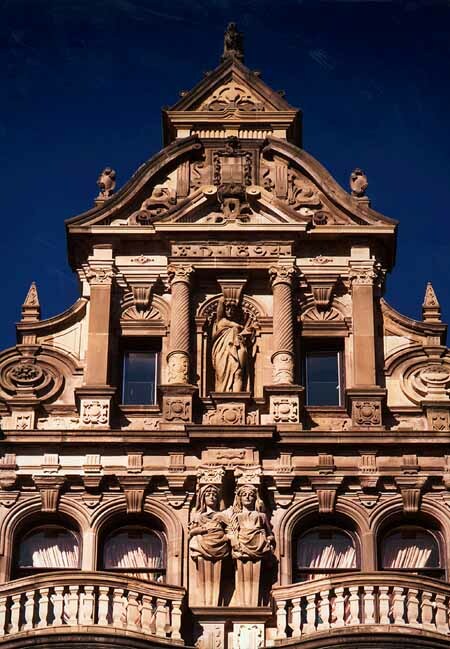 These caryatides high up on the building are key to the ornate stonework’s success, a piece of High Victorian indulgence. 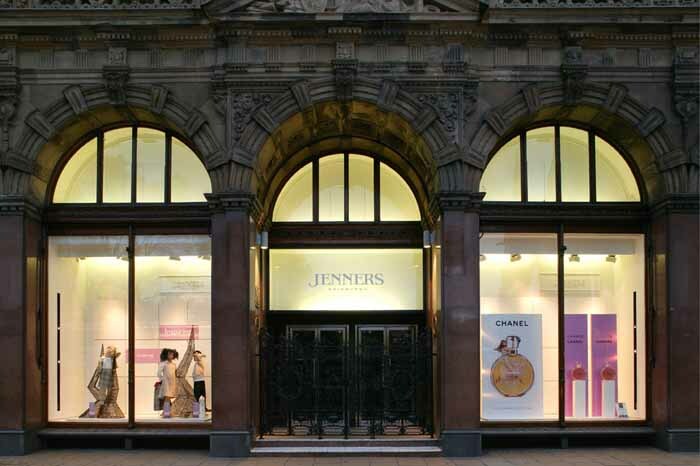 The new Jenners store formally re-opened on Wednesday 8 Mar 1895. 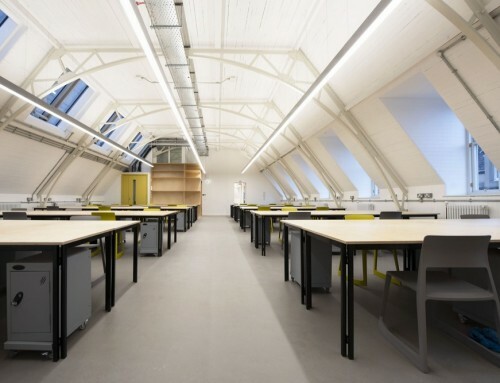 The building is ahead of its time for Scotland, with lavish electrical lighting, hydraulic lifts and air conditioning. Jenners Department Store – refurbishment: Allan Murray reportedly said that the removal of the canopy will bring in more light, in Scotland, all they canopies create is darkness; Malcolm Fraser reportedly said whatever Jenners did to its building, the mix of Georgian and Victorian architecture which it boasts means the store will always be more impressive than its modern rival across St Andrew Square, that Jenners is a fantastic building, just right for Princes Street, a wonderful rigorous building with Victorian exuberance. 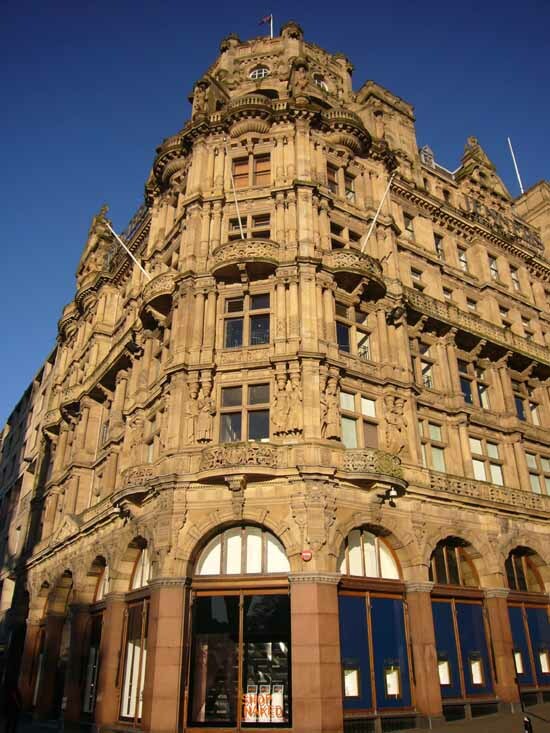 The Douglas Miller family has owned Jenners in Edinburgh since 1881. 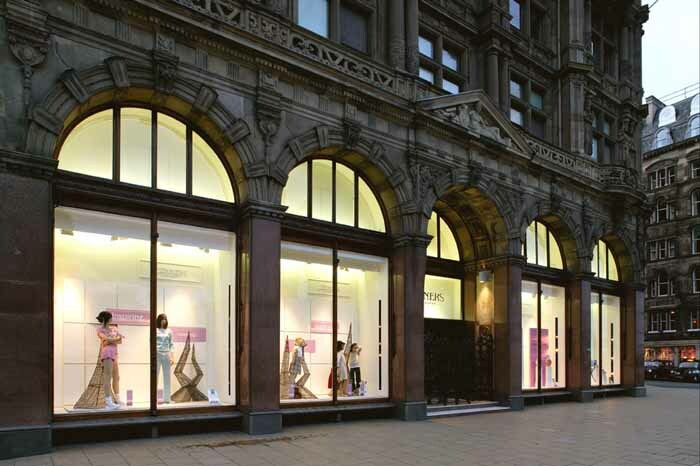 House of Fraser announced a deal in Mar 2005 to buy Jenners. 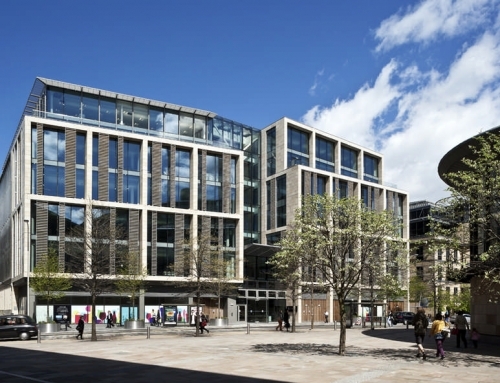 Jenners opened a retail outlet at Edinburgh Airport shortly before the Princes Street Store refurbishment, and also a shop at Lomond Shores (Scotland). 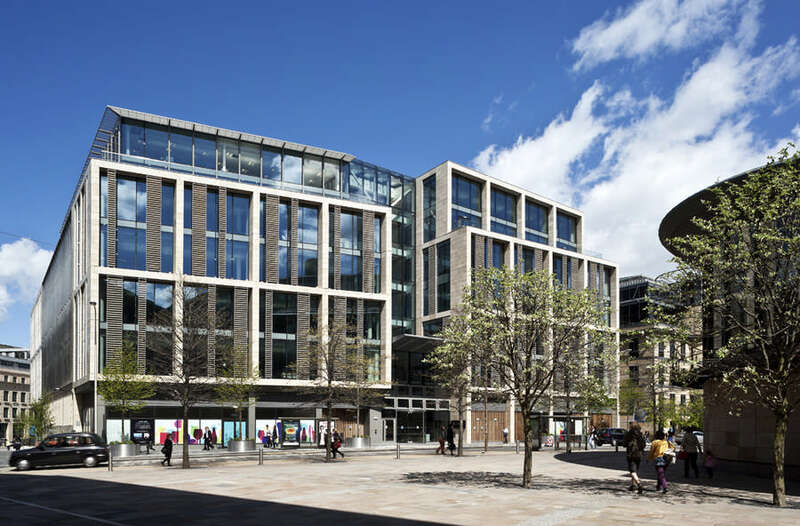 Jenners also opened a Rose Street restaurant with television celebrity chef Gary Rhodes but this closed a few years ago.